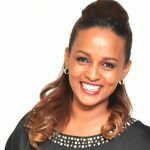 Bethlehem Tilahun Alemu is a globally acclaimed serial entrepreneur. 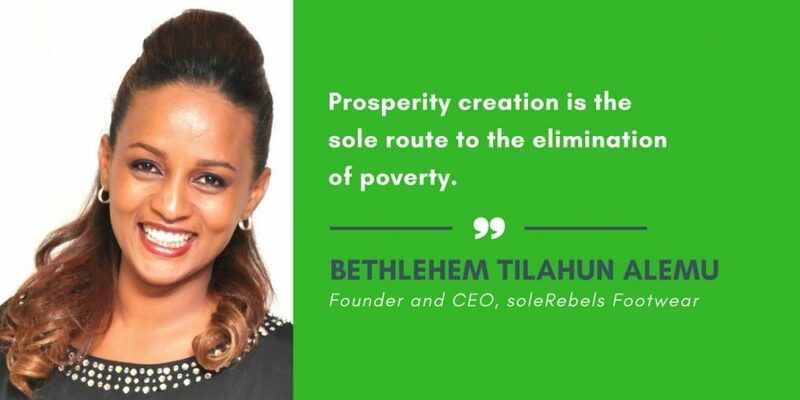 She is the founder and CEO of soleRebels, the world’s fastest-growing African footwear brand and the only WFTO Fair Trade footwear company in the world. She is also the founder & creator of Republic of Leather a super cool new company that is changing the way people around the world buy & love luxury leatherwear. And just as she changed the way the world enjoys shoes and leather she is about to do the same for another beloved Ethiopian gift to the world, COFFEE, via her newest brand Garden of Coffee which launched in July 2016! Bethlehem is the founder of perimeter consulting which provides strategic consulting services. Under perimeter she created, launched and leads Made By Ethiopia, a groundbreaking public-private partnership that is transforming the entire dynamic of Ethiopia’s footwear and leather export sector’s, creating over 100,000 new job opportunities and over $1 billion USD in export revenue. I was born and raised in the Total/Zenabwork area of Addis Ababa, one of the most impoverished and marginalized communities of Ethiopia. My mom was cook and my dad was electrician. They are loving, caring, thoughtful people. They taught me the value of respect for one’s family and larger community. The way they treated other people always struck me, as it was always in a manner that dignified and respected the person regardless of who they were. After working in the private sector for a while, I had a strong desire to use my business skills to serve my community. I knew that there were so many talented people there who could do great things if only given a chance. However, owing to extreme poverty, stigma, marginalization and several other factors, many of them could not even get ordinary jobs. This was devastating for me as I grew up with them — they were my neighbours and my family members. We had many talented people in my community, especially artisan talents, and there were little to no job opportunities for these people. That struck me as both an immense tragedy but also an immense opportunity. Added to this artisan talent pool was an abundance of natural resources from which to craft awesome footwear – everything from free range leathers to organic cottons, jute and Abyssinian hemp – a perfect scenario, just waiting for something big to happen. So I knew if we could leverage these talents in the right way, the response from the market would be incredible. I also saw the devastating effect that aid and charity had had on the wider community, making people complacent and dependant. So I knew that my projects had to be truly business-oriented in order to negate the effects that the aid and charity mentality had instilled in so many people. I wanted to show people that it is possible to be local and at the same time globally successful. I wanted to show people that if we all worked hard we could all have regular work and start to feel the pride that comes with financing ourselves and not waiting for handouts. I completed all my education in Ethiopia, and I have never lived anywhere else but in Ethiopia. This is a small but critical point. You see, there is a distorted but powerful conventional wisdom, here and across Africa, that says if you want to succeed then you must get out and go, especially to the West. But should we leave our home countries just to survive or to be successful? I wanted to show that it is possible to deploy local resources while creating a market-leading global brand, and to do it all from scratch. Exactly what we have done. It is a powerful idea that has provided a much needed example for many up-and-coming young women and men in Ethiopia and across Africa. The idea is inspiring a whole new generation of young entrepreneurs. My success has also served as a powerful counter-argument to generations of media that has attempted to show Ethiopians as helpless passive recipients of aid. I kept hearing over and over the phrase “poverty alleviation” in the wider context of Ethiopia and specifically with regards to the community where I grew up. As I entered college and started working to support myself and my brothers, it had become clear to me that poverty alleviation is a myth. My story has in fact flipped the discourse on African development from one of poverty alleviation orchestrated by external actors, to one about prosperity creation driven by local Africans maximizing their talents and resources. I have shown that it is we Ethiopians and Africans who can create decent jobs and world-class brands while empowering our communities. And I have done so while presenting a galvanized, dynamic face of African creativity to the global market. I was born and raised in the same community where I funded and continue to run my business. I had to make this company happen for myself and for all those who came to depend on it for their livelihoods. That is what drives me every single day. That is what allows me to create a successful business, which in turn allow us to achieve sales targets, pay salaries, hire more people and continue to grow organically. It became clear to me that prosperity creation is the sole route to the elimination of poverty. And to create sustained prosperity you have to create something truly world-class, pay your workers well, operate in a highly ethical and transparent manner, and build a successful business. Only in this way can we give talented yet marginalized people who once had no hope the chance to become self-sufficient, independent and prosperous.